What is Amazon wardrobe? 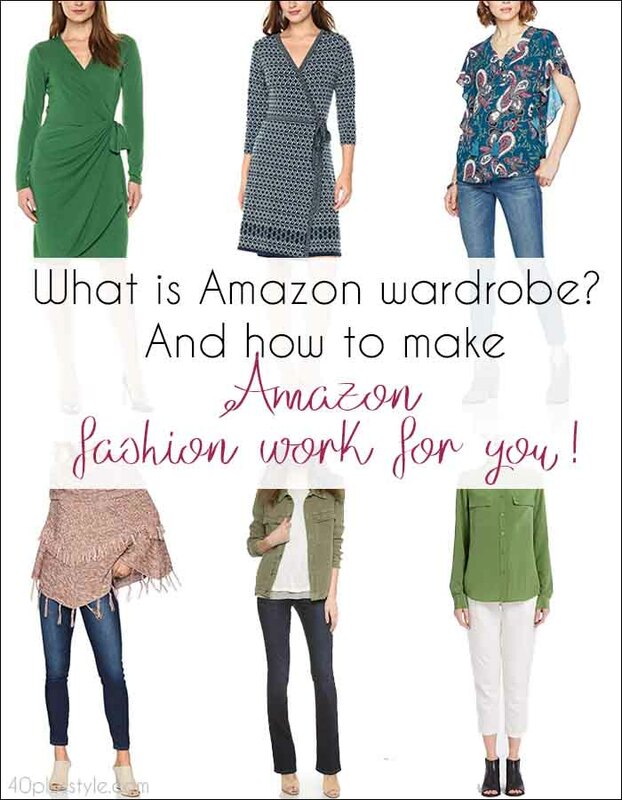 And how to make Amazon fashion work for you! 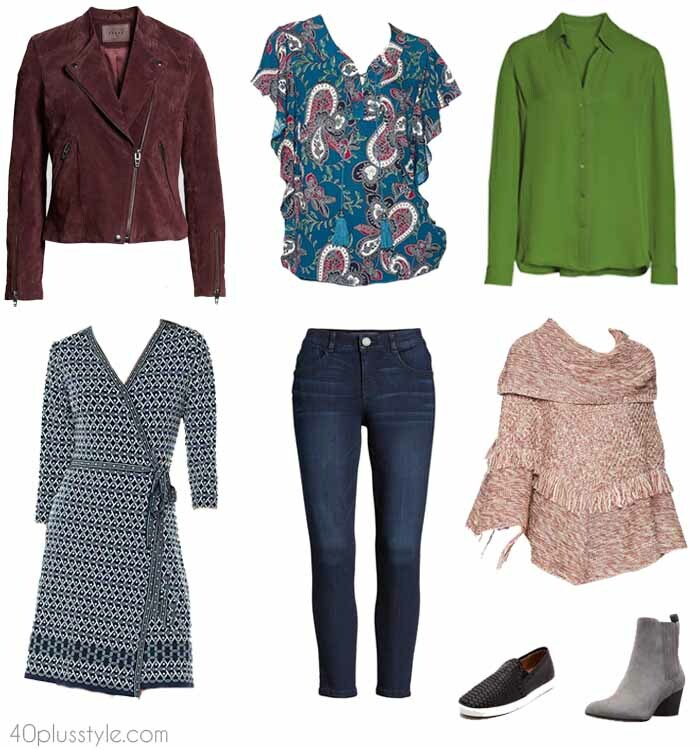 40+ Style » What to buy » What is Amazon wardrobe? And how to make Amazon fashion work for you! You’re probably already used to using Amazon prime for purchases like books or electronics. But, the retail giant has now launched Amazon wardrobe, which could help you to elevate your fashion game! Amazon fashion has often, unfairly, been overlooked. And now, Amazon is hoping it has the answer with Amazon wardrobe. It’s been launched in a bid to compete with increasingly popular style boxes, where you sign up to receive regular personalized clothing choices, trying them on at home before deciding whether to keep them or send them back. So how does Amazon wardrobe work? In the case of Amazon Prime wardrobe, you make your own clothing choices, rather than having a stylist make a selection for you. Not every piece of clothing is eligible for Amazon wardrobe, however. You need to look under the price to see whether it says “prime wardrobe”. You can choose up to eight pieces, keep them for seven days to try on, and then return anything which doesn’t fit you, or doesn’t suit you. So, you could opt to order eight pieces to create your own seasonal capsule! You don’t pay until you choose what you want to keep. You get a resealable box and pre-paid label so you can send back anything you don’t want for free by dropping the box off at your nearest UPS or arranging a pick-up. To use the service, you have to be a member of Amazon Prime. If you’re not already a member, it costs $119 per year, or $12.99 per month. What brands can you shop with prime wardrobe? 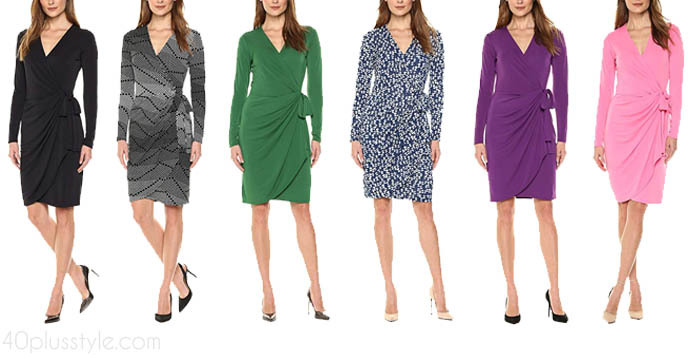 I think one of the major reasons Amazon fashion can be overlooked is there is such an array of choice that it can be bewildering. Not only that, but the quality can vary hugely from one brand, or seller, to another. However, there are lots of well-known, household brands among the Amazon fashion offerings which are eligible for Amazon prime, including Calvin Klein, Levi’s, Lilly Pulitzer, J Brand, Blondo, Hugo Boss, Addidas, Tommy Hilfiger, Guess, Nine West, Lacoste, New Balance, Stuart Weitzman, Rebecca Taylor and Cole Haan. Amazon is also concentrating on its ever-increasing range of own-brand fashion pieces, creating brands like Ella Moon and Lark and Ro, in a bid to take on the likes of Nordstrom! How to use prime wardrobe to your advantage! 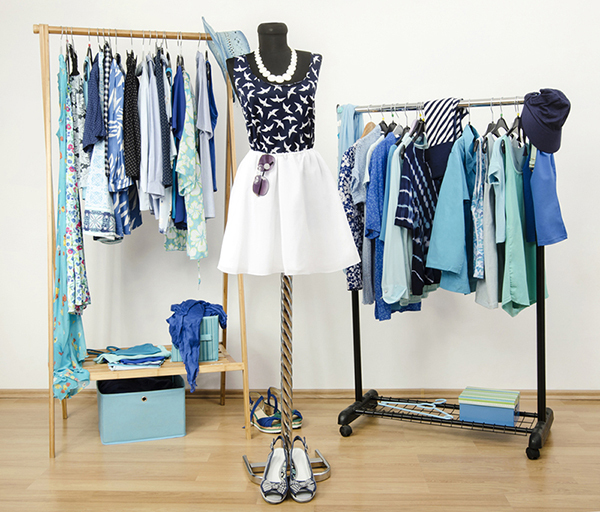 If you’re not a fan of changing rooms, Amazon wardrobe could be a good option. Amazon is saying that the new service effectively brings the fitting room to you! Because sizing can be different from brand to brand, online shopping can often be a frustrating experience when you order something, only to realize that your usual size comes up small. Not all online stores offer free or easy returns as, obviously from a business point of view, they don’t want you to return anything! I’d use Amazon wardrobe to order a couple of sizes, and different color options and decide what fitted, and looked, best. It’s also a great way to try something that you’re really not too sure about as you can simply order it in the same box as other purchases and send it back at no additional cost. Pay close attention to the reviews from other customers, particularly if you’re ordering from a brand you haven’t tried before. That way you can figure out what size is most likely to fit you, and what the quality might be like. But, if it’s not what you expect, then it’s easy to return! Try different colors. Usually when you’re ordering from an online store, you probably only order in one color pathway. With Amazon , you could order every color of a style and simply keep your favorite, without worrying about return costs. Try on jeans! 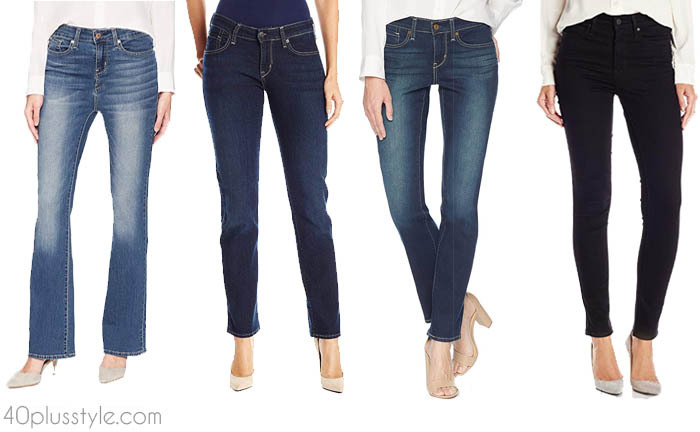 The perfect pair of jeans can be hard to find. Now you could even order eight different styles, and only keep one! Shoes or boots. Another thing which can be difficult to order online is a pair of shoes and boots. Not only do you need to order your shoe size, but you need to figure out whether the fit is too narrow, or too wide, or whether a certain style might pinch your toes, even though you have ordered in your usual size. Use prime wardrobe with Echo Look! It could be interesting to try on pieces you order from Amazon wardrobe with Amazon’s new style gizmo, the Echo Look ($199). A kind of personal stylist version of its existing Echo device, it lets you take full-length photos or short videos of your outfits, storing them away so you create a catalog of looks in the app. You can also try on two outfits and let the Echo Look tell you what works best. Amazon says it works on a mix of machine-based learning and human opinion. From what I’ve seen so far, the results can be hit and miss, but it looks like fun! Will you be trying the new Amazon wardrobe? Don’t forget to let us know if it works for you in the comments below! Previous post: How to dress for thanksgiving: 5 outfits to choose from!